Digital Experience is increasingly taking center stage in our customers’ minds as they pursue their digitization initiatives. With an increased reliance on technology to achieve business success, it is imperative for companies to bring together technology and operations in order to ensure that the customer, partner and, internal user ecosystem can seamlessly interplay with systems and each other to operate finer. A collaborative approach allows companies to adopt an agile development and experience-driven design. Employees can collaborate, find new solutions to problems, and co-create solutions with the actual end users or customers. This allows them to gain real and deeper insight and focus application development on things that really matter for the people and businesses. To help you adopt a design mindset and create apps that deliver what your users need, SAP Cloud Platform digital experience services offer BUILD, an innovative toolset that opens prototyping to a broader audience – beyond IT. With BUILD, you can collaboratively develop prototypes with your project team and engage end-users for feedback – all while learning the design process. Your business users can take an active role in prototyping the applications they need as no coding experience is required. Take the example of Sun Chemical Corporation, a world’s leading producer of inks pigments and coatings for variety of industries. The company uses SAP for business processes that range from receiving orders to order fulfilment, as well as in supporting administration functions within HR and finance. 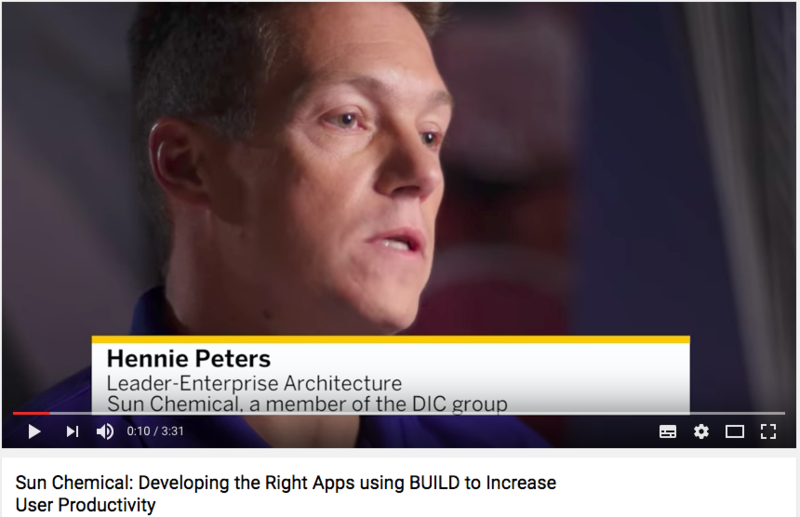 Sun Chemical does a lot of custom development and recently has decided to adopt SAP UI5 and use Build as a prototyping application to facilitate the requirements and design with their end-users. This has allowed the company to follow design thinking guidelines and develop application that offer a consistent experience to its users. BUILD is an integrated cloud-based solution that addresses the critical discovery and design phases of the product lifecycle when user experience changes are the most cost effective. It is easier to adopt, as you can get started by importing mockups or a gallery prototype, and then rapidly overlay UI controls and add your own sample data. Because it includes integrated research and analytic tools, it easy to collect effective user feedback during the design phase, and once the design process is finalized, it generates UI5 starter code to jump start the development process – using either SAP Web IDE or the tool of your choice. To learn more about the power of a design-centric approach, download the complete copy of Forrester Research’s report on Lead With A Scaled Design Thinking Mindset, Embrace Design For Customer Obsession – a May 2017 Forrester report. Also, do not forget to check out BUILD on SAP Cloud Platform to start your journey.